The U.S. Air Force Academy has recognized the outstanding academic and cadet training at NMMI in preparing and motivating selected preparatory candidates and future Air Force Academy Cadets. According to the Falcon Foundation, NMMI does the best job of preparing future Falcons. Although the primary thrust of the NMMI Air Force Academy Preparatory Program curricula is academic preparation with intensive instruction in Mathematics, English, History and Chemistry, Air Force Prep Cadets are challenged with military training and athletic conditioning to develop the skills and character necessary to be successful at the Academy. Interested cadets may elect to participate in the NMMI Flight Club with training in Ground School, Glider Training, and Fixed Wing Training. Qualified Cadets will be able to solo and complete their flight certificaton by the end of the school year. 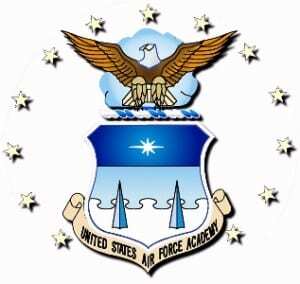 Selection to the prep program is competitive, requiring students to successfully complete the standard criterion for admissions to the Air Force Academy: physical aptitude test, DoDMERB medical qualifications, solid academic preparation and demonstrate leadership potential. NMMI has been entrusted by the Air Force Academy Association of Graduates (The Falcon Foundation) to mentor and prepare the nation’s highest quality cadets for admission to the U.S. Air Force Academy.